Great job developing a sales strategy and successfully executing for a faster than average sales above the asking price. I was impressed with Kim's work nearly ten years earlier when I purchased he property. She was the representative for the seller, but I kept her card because I knew I would use her as my agent if I ever sold the property. Kim helped us find our perfect house, and it really took some work. She arranged an initial "get to know you" meeting that surfaced all of our needs and wants. As we learned more about the city neighborhoods and sub-markets, Kim helped us refine our search. We were picky buyers and we insisted on making a great deal. Kim was patient throughout the process and, in the end, helped us find, negotiate and close on our dream house. She's the best and I would recommend her to anyone. "Kim is excellent. She understands all aspects of real estate. Along with Ashley Bell's assistance they both were always very prompt with query responses. Kim is very professional and a great realtor. She has many years of experience and understands the market very well. Her assistant Ashley and she were very prompt in helping us through the complete process of our condo sale. Kim applied her expertise and helped us through house inspection,lawyer negoatiation and closing. I would highly recommend Kim." "Thanks again for connecting me with Kim Kerbis this summer. We just closed on the sale of our property last week and definitely owe ...Kim a great deal of gratitude!...Many thanks!" "Kim and her team were fantastic from start to finish. We were selling a rental property, and Kim made the process as easy as possible. She take a hands on approach and provides as much guidance as you are looking for. Most importantly, she knows the market and absolutely nailed the right asking price. We closed at over 99% of asking price. Fantastic job start to finish, including leading the decision making process on upgrades/repairs, staging, and pricing while also "thinking like the owner" to come up with the most cost-efficient solutions during the marketing phase." Words can not adequately express how grateful we are to all of you for your expert guidance through this process. We feel so lucky to have had you all on our side! "How lucky we were to find Kim! There are not enough adjectives to describe how totally perfect a fit she was for us. She listened to what we needed and spent an enormous amount of time finding us the perfect apartment to buy. It was especially important for us that Kim do so much legwork in advance because I am an out of town buyer. I cannot thank Kim enough for her expertise, compassion, advice and shoe leather! " "Kim is awesome! I am so glad that a real estate agent friend of mine here in Florida introduced us to her via email. I had no clue about Chicago real estate or even who to contact. We are now the proud owners of a beautiful apartment that she helped us find, negotiate and close on! Kim's knowledge about Chicago and real estate is far and above what I would expect an agent to know." "Kim was able to clearly articulate the subtle, unique aspects of our condo and our neighborhood, giving us great confidence in her ability to sell our home to the right buyer at an optimal price. The go-to-market tactics she prescribed for our sale were absolutely perfect, resulting in multiple offers above listing price by the end of the first weekend." "Kim Kerbis is a wonderful and committed agent and I was 100% happy with the selling process and the sale price on my home! Everything was handled extremely professional and she made my property look it's best." "Kim did a fantastic job. She really knows the market and her pricing strategy brought 4 offers in above list price within 2 days. My condo ultimately sold for a higher price than other recent sales of identical units. Her team made recommendations for paint and repairs, they coordinated with the staging company and basically took care of everything. HIGHLY RECOMMEND!" "I can unreservedly recommend Kim Kerbis. She is professional, experienced, understanding, and attuned to the market. Thanks to her photos and advance prep we had multiple offers over the asking price the first weekend on our condo - one which we bought with (her) four years earlier." "Kim was great. A consummate real estate professional from start to finish. I highly recommend Kim." "Kim did a fantastic job for us. We had multiple offers within days of going on the market, sold at above list price and closed within about a month! In addition, she gave us great advice about how to prepare and stage our condo to maximize its potential and she represented the property and neighborhood beautifully to interested parties. On top of that, we received reports on all open houses and appointments with feedback from potential buyers and agents -- practically all in real time! Kim's experience and knowledge really shines through and you can tell she's personally invested in you, your property, and the sale. Really appreciated her willingness to be open and honest with her opinion, too! We couldn't be happier and we'd recommend Kim to anyone looking to sell their home!" "Kim knows how to sell a home! She is amazing at covering all the bases and guiding you through the process. Kim is a true veteran in the industry. We listened to her suggestions and stuck closely to her process with an outcome of success. Bottom line, if you want to get your home sold, Kim will get it done." "As first time home buyer Kim was the best choice besides our new home. She laid out the entire home buying process and was there to answer questions and help each step along the way. She is extremely knowledgeable and has all the right resources to have through the process. She was a pleasure to work with and i highly recommend her." "Kim is fantastic to work with. She is extremely knowledgeable and experienced; with her advice and connections, our experience was nearly effortless. We will definitely be in touch with her for any future real estate needs, and would absolutely recommend her to anyone!" "Kim is our family's go-to realtor. She understands this is an important decision and will give you all the information you need to be informed. Kim is your advocate, she wants you to get what you want for the right price - buying or selling. And, she celebrates with you when the sale is complete. Buying or selling a home isn't always HGTV perfect, but Kim makes the process smooth." "Knowledgeable and focused. Just what we needed." "Kim was fabulous. A real pro who knows the Chicago market very well. We really couldn't have gotten through this process without you and we're so happy with the new apartment!" "Kim is a consumate professional. She knows the market, is deft at handling her clients, a solid negotiator and she has a keen design eye." "Kim and her team were incredible in helping us to get our place sold FAST! She was honest and helped us craft a strategy that had us under contract within 5 days of listing and closed 6 weeks later. She has a great list of vendors, contractors, etc... that we were able to work with to make our place look amazing. Kim and her team were very responsive to our questions throughout the whole process. She will get your place sold if you listen to her advice." "Kim has been an absolute pleasure to work with. As a first time homebuyer, she was extremely informative and helpful to have on my side. I would definitely recommend Kim to family and friends, and look forward to working with her in the future." "Kim comes VERY highly recommended by us! We had been trying to sell our condo off and on for about 6 years and we were at the point of desperation. Thank God, Kim was recommended to us from another realtor we greatly respected. After unsuccessfully trying to sell our place for 6 years as previously mentioned, Kim helped us sell it in less than 30 days! And not only was she able to sell it, she even somehow RAISED the asking price $10K, which at the time seemed impossible and even crazy. She and her assistant Ashley were so professional and thorough - communicating with us throughout every step of the process. I couldn't believe how on top of everything they were, as well as so responsive. I would hands down recommend her to anyone looking to buy or sell their condo. AND she's also really easy to work with. Very laid back and calm demeanor, which worked out perfectly for us." "kim is wonderful to work with! we bought and sold our house with her as our realtor and couldn't be more pleased. she and her assistant went above and beyond to make sure everything went smoothly. my fiancée and i would absolutely recommend her to anyone in the area looking to buy or sell!" "kim's counsel during the property search and purchase/sale process has proven to be invaluable. this was my fourth time working with kim and i have recommended her to several colleagues because she is an unparalleled professional. kim is fantastic. there really isn't any more to say about it. she is the standard by which i judge all real estate professionals"
"we highly recommend working with kim kerbis. she was the consummate professional. she made not only the sale of our home, but the care and keep of our home during showings, an utmost priority at all times. she was always available, always professional, very knowledgable, and an absolute pleasure to work with. trying to sell our home in chicago while living out of state posed additional challenges, necessitating additional skill sets which many brokers can not handle, and kim made it a seamless process. she handled everything we needed to get done, and we trusted her completely. we would absolutely work with her again. thanks kim!" "kim was great. she spent alot of time going through all the details of everything we should know about the sale. she always made herself available to myself and my spouse. we would definitely recommend to use her as your broker." "kim has been excellent and very thorough with her work. she is very well organized and well recognized for her work among housing inspector to lawyers and everyone involved in the process. we did not have to worry much through our closing process. this is the second time we have worked with kim and i will not bat a eyelid to recommend her services to others." "this is my first purchase in the usa. my broker was very kind and patient. she and her assistant explained in detail every facet of ownership to me. both of them were incredible." "we are nearly two months in our first home and not a day goes by without feeling very lucky. thank you for the expertise, patience and kindness you showed us during our first home purchase. we feel very fortunate that you were part of the journey with us." "we are so incredibly happy here in our new home. you simply are the best!" "kim kerbis is a phenomenal agent. as a real estate attorney i deal with many agents, and kim's professionalism is second to none. 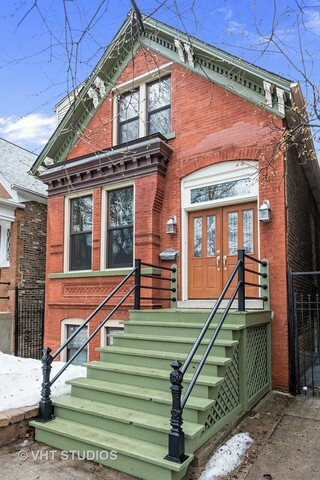 i would recommend her in a chicago minute to anyone looking to buy or sell real estate." "it's enough to say that i had a unique set of circumstances in terms of selling my home. kim was a consummate professional and helped support me through every step of the process. she provided a level of attention and consideration that went beyond expectation. i would recommend kim to anyone who is looking for someone who not only can deliver on selling your home, but will provide the kind of exceptional care that makes her standout from the rest." "kim kerbis is the consummate pro in the chicago real estate market. selling your first home is a personal and challenging experience, but kim gave us great advice and made it as smooth as possible. along the way she guided us through the details of the process and helped us get the best deal. if we ever need to buy or sell a house again, kim will be at our side. in the meantime, we will recommend her to every friend we have." "kim's extensive experience and knowledge in real estate market/industry, professionalism, patience, and friendliness made my search for investment property an enjoyable and rewarding experience. i couldn't have asked more from a real estate partner! thanks kim." "kim was invaluable helping me sell my condo. i've never been through the process of selling a residence before and she walked me through it step by step. she was extremely thorough and made sure every detail was covered. all of the planned showings and open house activities were very professional and the marketing process was impeccable. both feedback/reviews from the showings as well as a regular report on progress were both very helpful. she is certainly one of the main reasons we were able to finalize a sale in only two weeks. i would highly recommend her as an agent to anyone who is buying or selling." "kim was great at understanding what i was looking for and identifying properties that would meet my needs. she steered me away from properties that she thought would not be a good fit. she also did a nice job of helping me navigate the negotiating process. she was very professional from beginning to end and i would use her again." "kim kerbis is a very hard worker and knows how to sell property in a very challenging market. from my very first interactions with her, she showed the kind of knowledge and expertise that made me confident that she would do the great job she ultimately did- that is, she sold my property in less than two months. i greatly appreciate her dedication and attentiveness." "absolutely the best broker I've ever encountered! kim was extremely professional, diligent and insightful to our needs to finding our home." "thank you for everything, but especially for your consummate professionalism, knowledge and patience during the process. we are most grateful." "the broker was a great asset, assisting in evaluation of the house, provided excellent suggestions in preparing the house and leading me through the sale process. always professional, efficient and ready to help. The best." "i thought kim was amazing! she was super knowledgeable and very patient with me given that this was my first purchase. she made herself available all the time and was always prompt to respond to random texts and emails I shot her way. she made everything very easy to understand and stayed with me every step of the way. she's a wonderful, caring person and you can really tell that she enjoys what she does. i will definitely recommend her to anyone that i know that is in need of a realtor! i was very very impressed." "buying a first house is very scary for a lot of people. kim gave us the confidence we needed to make decisions, and did so without making the decisions for us, which was really important. she was also excellent at providing guidance through every step of the process, including having first-rate professional contacts (attorney, inspector, contractor) which made the other steps of buying smooth as well. we got the house we wanted, and not only are we happy with the result, we're happy with how we reached the result as well. we can't recommend her highly enough." "when I first met kim, i was impressed by her market knowledge, her understanding of my needs, and her professionalism. in working with her again, i am certain that i could not have worked with anyone else who would have made the experience so easy, nor would I have gotten the peace of mind about the purchase. kim is an exemplary agent, and a truly exceptional person. It is not possible to recommend anyone more highly than i can recommend kim." "as first time home buyers we found kim's professionalism refreshing and quite welcome during a fast paced, overwhelming process. @properties is a modern, high tech real estate company. kim's strength is using the technology as tools but remembering that the real service comes from the personal relationship and attention to clients' spoken and unspoken needs and wants. from the first meeting through closing she was able to create a trust with us that was incredibly important. it gave us confidence that she was handling our business and that we would find our new home. we enjoyed working with kim and would heartily recommend her services to everyone." "my agent, kim kerbis, was outstanding and i will highly recommend her to all of my friends and business colleagues. she was extremely professional, listened carefully to my wants and needs, and made herself available to me whenever. i liked that she started the entire process by taking the time to sit down with me to discuss the type of home i was looking for and the home-buying process in chicago. this was especially helpful as i was a first time buyer. i will definitely use kim again in the future when buying or selling real estate!"